The term ‘data-driven’ is one you will see appearing with increasing regularity in all areas of marketing, and one which is particularly relevant to organic search (SEO). But what is it and how does it apply to the industry? The term ‘data-driven’ refers to the practice of accumulating and analysing qualitative and quantitative data for use in the development of strategy. Data-driven SEO, therefore, is the process of using this data as a central part of strategy development – from key word strategies to demographic targeting. Though data has always been a part of strategy development, it has often been a sub-section, or an afterthought in the process – a method of reviewing a campaign, for example. Letting the data drive, however, makes the results of research central to the development of strategy – whether this is in keyword selection, content creation, platform use and presence, or any other part of a brand’s marketing strategy. This process allows brands to remove many of the elements of chance from their marketing process, allowing them to act proactively rather than retroactively when judging the success of campaigns and amending practices. 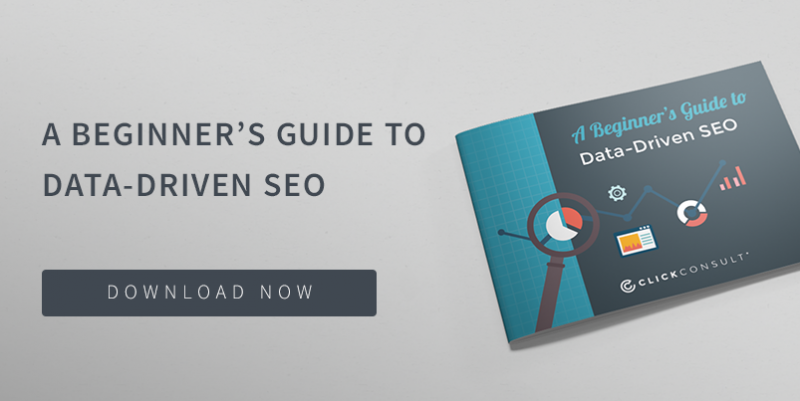 As a result of numerous questions (not to mention careful research and analysis of our consumer base) and the growing presence of the term online, we have been working hard to produce a beginner’s guide which will give you everything you need to know about implementing a data-driven approach to your brand’s SEO practices. Looking for something else to do while you wait for your ebook to download? Why not have a look through our extensive list of other resources, contact us or say hi in the comment section below. Are recent changes designed to make Twitter profitable?